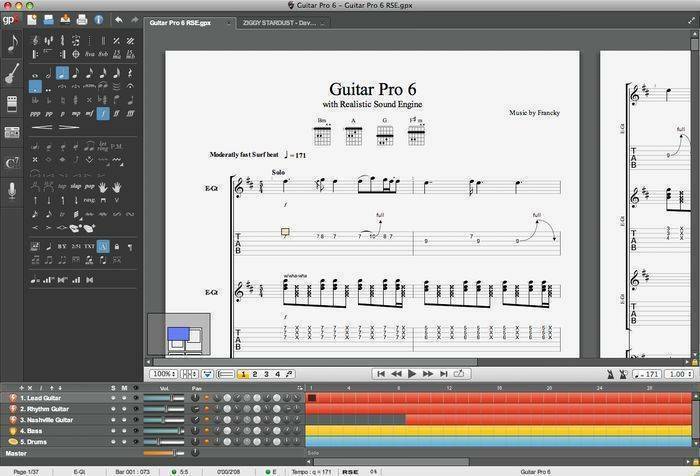 Since it's release in 1997, eMedia's Guitar Pro software has become known as one of the most powerful and intuitive tablature editors on the market. With the 40 features added to eMedia's Guitar Pro 6, it should help keep the brand amongst the leaders in its class as a top software choice of guitarists worldwide looking for a guitar software to assist them in becoming better guitarists and for teaching guitar. 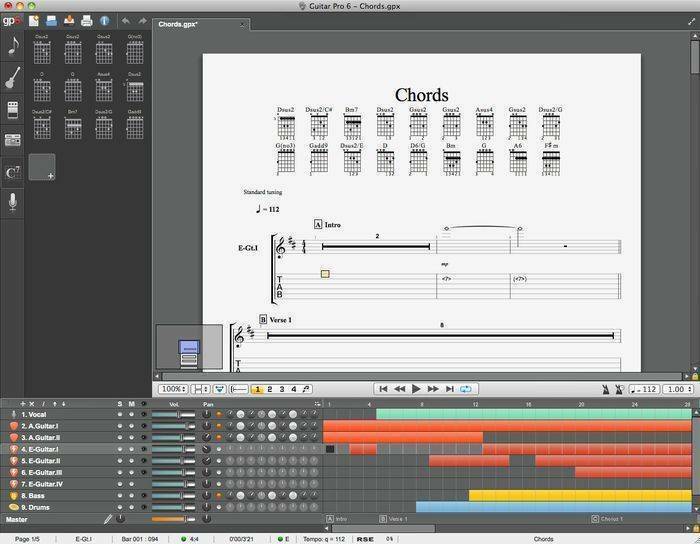 The biggest improvement made to Guitar Pro software's already successful formula is an improved, easy-to-use interface. All the functions and options can be accessed easily like before, but now there is improved scrolling, multiple display options, a powerful zoom, and a full-screen mode to make writing notes as well as well as reading the scores easier. 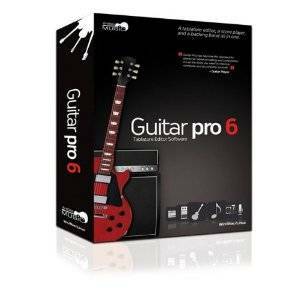 eMedia Guitar Pro 6 features the newest in playback technology including the R.S.E. (Realistic Sound Engine), which gives you real-time playback of your scores using realistic sounds sampled from high-quality guitars and real-time effects such as overdrive, distortion, wah-wah, chorus, delay, and more. For computer accompaniment, you can set audio parameters for the instrument, volume, chorus, reverb, and mute one (or several) tracks. eMedia Guitar Pro software offers audio support for all instruments, from stringed instruments to drums, piano, etc. 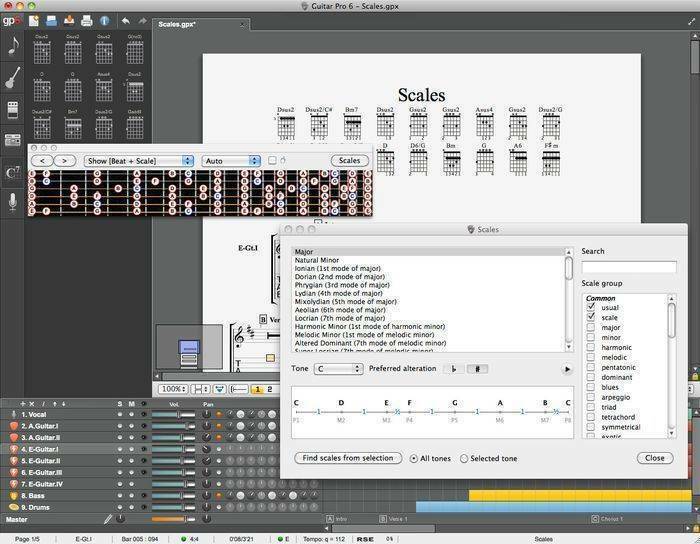 This Software is the reason I'm in Guitars today. I was fortunate to get a whole lot of tablatures from the Net (52000) and can play ACDC to ZZ TOP with a virtual back-up band. I never found anything close to this since. There is a small Learning curve, but it is pretty intuitive. I Love it!